Craps is a popular casino game that can be played among friends, which is known as street Craps or at a casino, which is known as table Craps. The game provides a wager opportunity to obtain winnings based on the outcome of 3 dice. There are many bet options, which includes numbers or series. Craps seems to be a very involved game, but this is simply because players are unaware of the betting options and payouts the game has to offer. Most players have one look at a Craps table and simply walk away as there are a few important rules you need to know about before you can play the game. This includes when you can bet, when the game is over, how you win, and much more. In this article, we will go through the different options Craps has to offer, look at how the game is played, and the game rules. The purpose of this article is to give you the ability to know everything you need not only to play the game, but to do so successfully and with as little risk to your bankroll as possible. At a land-based casino, the game consists of various players throwing 2 dice on the table, which is also known as a shooter. The objective of the game is to guess the numbers or series that will appear on these rolls. However, it gets a bit more complicated as there are certain betting options that can take place for additional winnings. These additional bets start with the Pass and Don’t Pass lines, which is a bet that has to be played by the current shooter. Online Craps will always require this bet as you would be the shooter in each round. The pass and don’t pass line can also be seen as the right or wrong bet, or win or don’t win. This is the bet that starts the round, after which the shooter will begin to throw the dice. The first few rolls will determine things such as the point and come-out phase. The first roll by the shooter will be the come-out roll, which would result in a number of things. For example, if the dice totals add up to 2, 3, or 12, it is known as a “crapping-out” or “Craps,” which means all the players who wagered on the pass-line, losses those bets and all those who wagered on the don’t pass line will win. If the shooter rolls a 7 or 11, it is known as a natural, in which case the pass line would automatically win. The only other numbers available on the roll are 4, 5, 6, 8, 9, 10, which will determine the point of the game. Should any of these numbers be rolled, the pass and don’t pass bets will remain in place as the game has only started. Players who have wagered on the pass-line will then receive winnings if the shooter rollers the same number before rolling a 7. Those who wagered on the don’t pass-line will win if a 7 is rolled before the point number. To sum up this section, the game begins by betting on the pass or don’t pass line, which is determined by the dice values. There are only 2 ways to win on the pass and don’t pass within the come-out roll, which includes crapping-out or a natural. If any other numbers are rolled, it means the point has been established, and players can win on the pass and don’t pass, which is determined by rolling the same number again or a 7. Players and the shooter have the option to place any other bets during the game as well. This includes wagers on series or on numbers, which refers to the point. However, before these bets can take place, the point has to be established. Players can also increase bets behind the pass and don’t pass lines, or adjust their best on the series or numbers. This means you can leave your bet on any numbers or series, and once you’ve obtained the winnings you want, the bet can be removed completely. However, if the game ends, all bets on the table will be lost, which is caused by the shooter rolling the pass or don’t pass line. Craps have a few other betting options as well, which are fairly self-explanatory once you understand the betting options mentioned above. The game is unique and provides a great range of reward opportunities. The developer has ensured a fair gaming opportunity where players can choose from various bet options and winning opportunities to choose from. However, due to all these options, the game has also become famous for strategies. As a new player, you will need to approach the table and wait for the current round to come to an end before you can place a bet. The round will end as soon as the point or a 7 has been rolled, after which the dealer will tell you to place your bets. Players can wager on pass or don’t pass line before a point has been established and then access the rest of the table once the point exists. This means you can place a bet on doubles, numbers, or any other bet you prefer. The same shooter will roll the dice until the game comes to an end, which will then be passed to the next player to the right. The goal of the game is to obtain winnings while the shooter tries to reach the pass and don’t pass numbers, during which you will be awarded for numbers wagered on that the dice fall on while also having the option to remove those bets to secure your winnings. 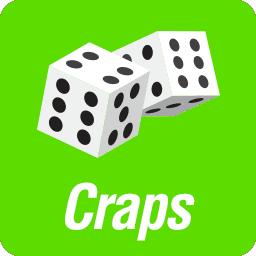 Craps is a game where strategies can be applied, but it works completely different to the systems for other games. Many professionals simply apply betting systems to the game and come up with their own betting methods. These systems basically provide you with the opportunity to know where to bet, when to remove your bets, and when to add to a bet. This will ensure you have the best opportunity to make a profit and remove it before the game ends. As you’ve seen above, there are various betting options to take advantage of and each of these have odds of their own. This is why players choose a certain part of the table to wager on and reach the best possible winnings by taking steps while the shooter to rolling the dice to hit the pass or don’t pass line. To achieve these winnings and come up with a system, you would need to know what the payouts are for each betting option. Many professionals would recommend managing your funds well, meaning you don’t get greedy with a bet by leaving on longer than you should as chances are you’ll end up losing it. A bet on numbers is usually a great place to wager as these provide winnings each time the dice falls on that number. This allows you to obtain profit while also removing some of the best after a while to minimize your risk. A bet of this type would require you to wait for the point to be established. Should the point be 5 for example, you would wager on the other numbers being 4, 6, 8, 9, and 10. Should the next roll land on any of these numbers, you will receive a winning, in which case you can remove the bet or risk it for another round. The idea is to win and remove your bets before a 7 is rolled as you would lose your bets. However, this remains a very risky system as a 7 could occur at any time and remove those bets on the numbers, which is why players need to manage their funds very carefully to win on this bet. Players who use this system wait for a win to take place, after which they remove some of the bet placed on numbers. Another popular option is to simply play the pass and don’t pass line and increase your bets. This will allow you to take advantage of a betting winning opportunity as these require specific numbers before losing. Many also choose to combine this bet with others, which offer additional winnings while the shooter plays. Taking a risk with betting options such as the above, you will find you might lose more often than you win if a betting system is not applied. A strategy and “system” are completely different as strategy will tell you where to bet, and a betting system tells you how to bet. It’s recommended to start playing Craps with an excellent betting system to protect your funds while you learn the game. These systems are also a great way to learn the game, especially when trying to figure out your own strategy. The Martingale system provides a progressive betting opportunity that requires players to double their bets after each losing hand. The system best works with even money bets as it is easy to keep track of the winnings and also keep your losses to a minimum. The only even money bets in craps include the pass line, don’t pass line, and Big 6 Big 8 bet. Basically what the system requires is a bet on one of those options. It’s recommended to start low and doubling up in Craps could lead to massive amounts. Should you win on a bet, the profit would be set aside, and the same minimum bet would be made on the table. However, should you lose this bet, you would double the wager amount, and would double the total amount wagered at the time. The system works as you can keep doubling up on bets until the wager wins, which covers all your used bets and provides a profit. However, before using the Martingale Craps system, be sure to check what the table limits are and ensure you can double up your bet at least 8 times before applying the system to your game. Gambler’s Fallacy is a bet based on the history of the game for the last 20 rounds. For example, some bettors would focus on the game and only bet on numbers that have come up a lot or not at all in the last few rounds. This is actually a popular system and has been proven profitable. However, when looking at the stats, it’s hard to believe that regular winnings can be reached with the system as a certain number on the dice could take very long to show up. This is why players who use the system either wager on a few numbers with this status or apply a betting system such as the Martingale system mentioned above. Dice control is a popular method used to control the dice when rolling them. However, this is a skill which has been ruled out by casinos as the dice are required to hit the back wall of the table. In other words, it’s not a system worth trying or even practicing whatsoever. To play Craps and obtain winnings, you need to find the best possible bets and cover your loses. Any professional player would tell you that those 2 features combined will provide a lot more winnings and successful nights at the casino than any other system. In other words, meaning to walk away and accept a bad night, but if the chips are rolling, keep your cool and stick to the system you’ve been using all along. One of the biggest mistakes players make is to change their systems each time a losing round of Craps comes along.